Miss Colombia Was Offered to Compete on Another International Pageant! For many woman, the greatest dream ever was to compete for the crown to grant as the most beautiful girl in the universe. 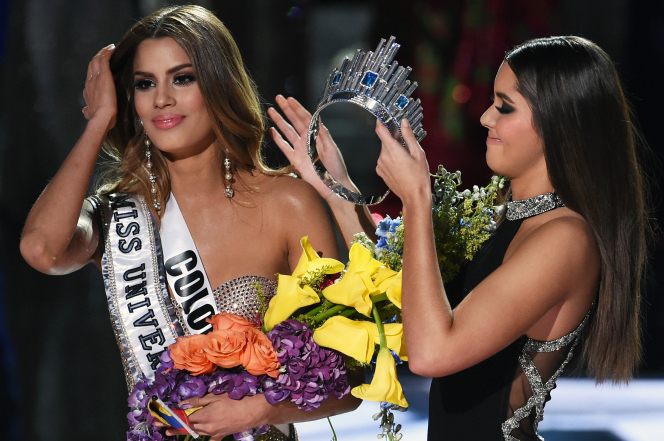 Last December 21, 2015, eighty beautiful woman was given a chance to represent their own country for Miss Universe 2015, one of those girls is Miss Colombia, she reached until top 3 but there is mix-up with the result when the host announced mistakenly. Miss Colombia was offered to compete for $50,000 to another pageant this coming June 2016 by the officials of Las Vegas model search International. We can not deny that it was a huge issue that shocked the whole universe after the biggest event numerous of comments from the people around the world started to stated their own reaction, and they believe that offering this chance for Miss Colombia will let her prove the title that she really wanted. For the meantime, update from Miss Philippines Pia's Instagram, she was extending her gratitude for all her supporters around the world for following her for the whole fight.